Babies enjoy books, looking at other babies, and their own flowering abilities. This short rhyming poem combines all three in a sweet and happy way, while introducing babies to God's love for them. The simple words are paired with colorful images of babies engaging in familiar activities, allowing the book to be used as an introductory concept book as well. And it ends with a reminder that Baby is always loved by God. 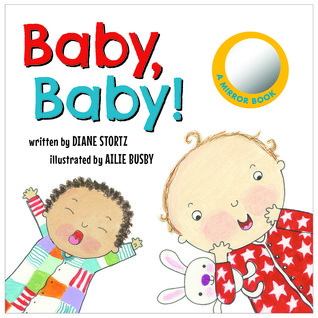 It's never too early to read to a baby, and this adorable book is perfect with its simple phrases and illustrations. The pictures are colorful without being overwhelming, and shows babies in various activities like eating, clapping, giggling, and wiggling. I love the message of God's love and the mirror at the end of the book really makes it personal. There is even a space for you to write the child's name so he or she becomes part of the story. This would make a great gift for expecting parents or the baby in your life!